It's all just so...beautiful. 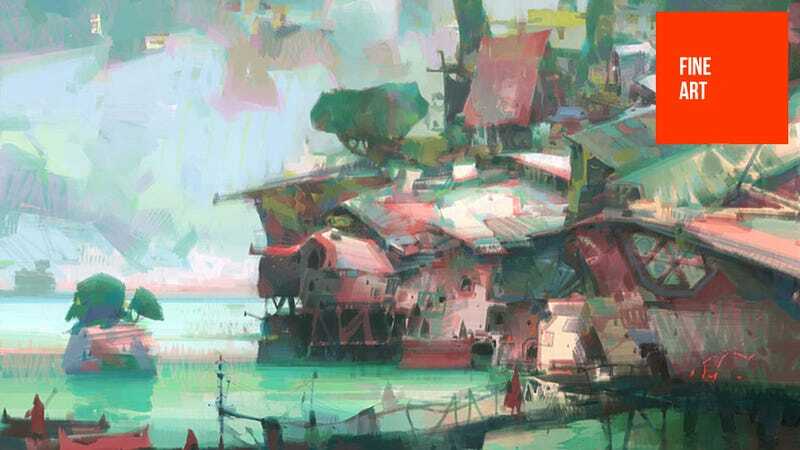 Where most game artists have a palette that starts at "violent" and ends at "dark", Theo Prins' work here has a warmth and colour to it that's as refreshing as it is a pleasure to look at. Theo works at Guild Wars 2 developers ArenaNet, on whose site you can read a great interview with him where he discusses his style and influences. If you like his stuff, there's more of it to see on his personal site (including painstakingly-sliced stereoscopic versions of his images, if you like the 3D stuff).